A solar generator is the best way to have on-the-go sustainable power without the noise and smell of traditional gas-powered generators. Whether you’re an avid camper or simply preparing your home in case of a power outage, having a solar generator on standby is a sound investment. A solar generator can be used to power anything from a smartphone to a refrigerator by converting sunlight into power. Whereas traditional solar panels are outfitted to a roof, a solar generator is light and portable. 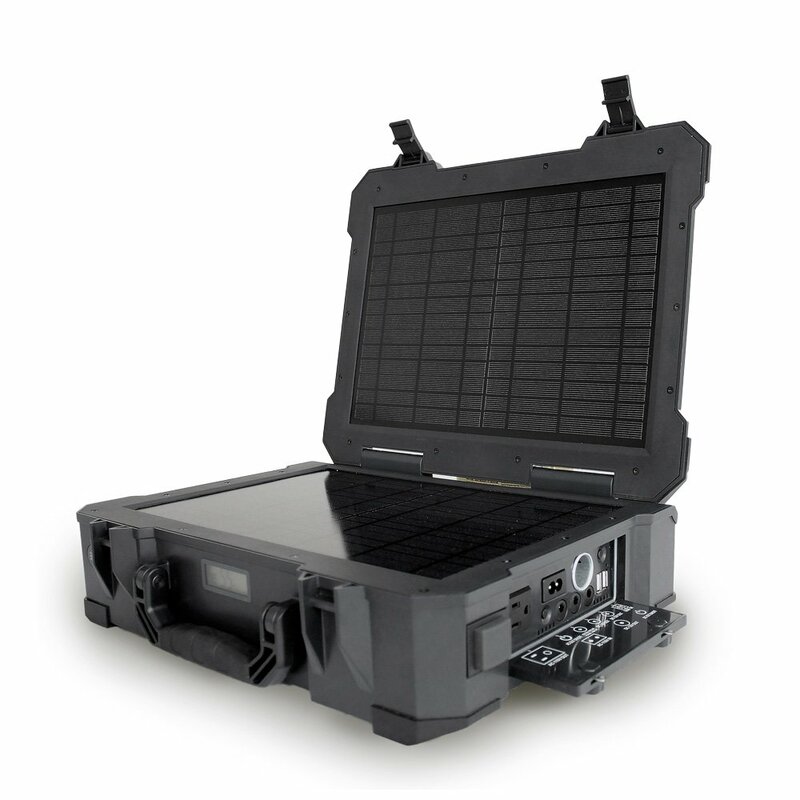 Transportable solar panels are used to power solar generators wherever your adventure may lead you. Do I Need A Solar Generator? Campers are likely to get the most use out of a solar generator, especially if you own an RV. However, anyone who likes to likes to go off the grid, whether it’s in a boat or a small cabin in the woods, will reap the benefits of switching to a solar powered generator instead of a traditional propane generator. Gas-guzzling generators are loud, emit toxic fumes, and can be a fire hazard. In fact, the Boat Safety Scheme made a statement in 2015 after a series of boats sank due to accidents involving portable generators. Nobody wants to think about the worst-case scenario, but it’s always wise to be prepared. While a power outage may only last a few hours, natural disasters, terrorist attacks, and other disasters could potentially shuffle you off the grid for weeks, months, or maybe even longer. In the event of catastrophe, gas-powered generators are going to be useless when you can no longer access fossil fuels to keep them running. Meanwhile, a solar-powered generator can be used and refuelled just about anywhere. Solar generators emit no noise or fumes, and they do not contain any flammable gases which could prompt an accident or explosion. And contrary to a popular misconception about solar energy — you can still power solar panels on a cloudy day. Which Solar Generator Is Right For Me? The first step in purchasing a solar generator is understanding what you want to use it for. A small 150W generator can easily power your laptop or smartphone, but if you want to run something larger — like a refrigerator or television — you’ll need a higher wattage. Weighing in at a surprisingly lithe 12 pounds, the Renogy solar generator is ideal in emergencies. Portable, waterproof, and built with two 10W solar panels, one built-in 10A charge controller, one 150W power inverter, and one 16Ah lithium polymer battery, the Firefly is an all-in-one solar generator. 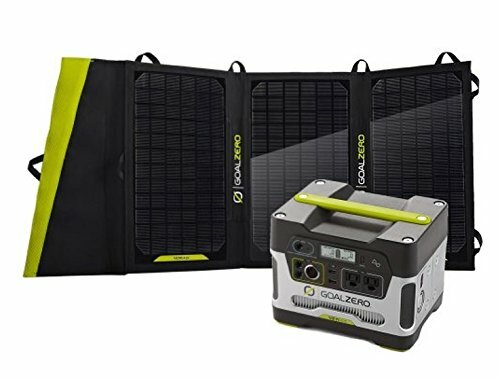 Goal Zero produces solar generators for a variety of budgets and uses. The Yeti 150 costs $200 from Amazon. It is a hardy generator which can be recharged via solar panels, a wall outlet, or even your car battery. The solar panel charging kit must be bought separately for an additional $200. 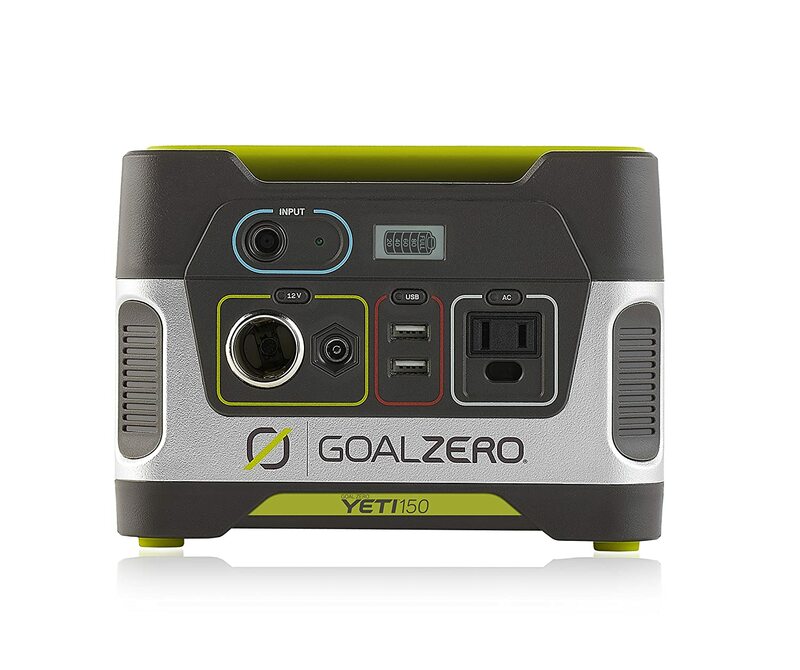 The next pack up is the Goal Zero Yeti 400 kit for $606. While the Yeti 150 is best for charging phones or lighting, the Yeti 400 can power a television or be used in tandem with other solar generators to yield more energy. The Yeti 1250 can be used to power health equipment, tools, a refrigerator, and much more. 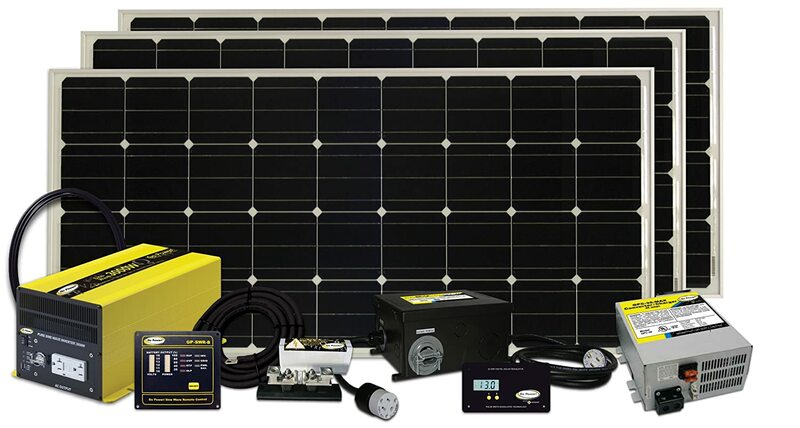 Priced at $1,591, it’s a top-of-the-line solar generator for the serious off-the-grid customer. At $3,680, the Go Power! Solar Generator is steeply priced, but it’s a complete off-the-grid power solution. With no noise, fuel, or maintenance, the Go Power solar kit is ideal for long-term use on an RV, boat, or a cabin in the woods. Can I Charge My Solar Generator From My Solar Roof Panels? A charger like the Goal Zero Yeti charger can be recharged using a wall outlet. So if your home happens to have solar roof panels, then yes — you can charge it using your solar roof panels. If you’re thinking about installing solar panels, act quickly for a free consultation on how much solar panels could save you. And remember: although a solar generator may not power a full-sized house, it could be a lifesaver in an emergency. "Whether you’re prepping for a weekend camping trip or a natural disaster, a solar generator is a sound investment for the family who is ready for anything."